Errors by engineers can lead to devastating consequences for businesses and individuals alike, resulting in significant delays and financial losses. Engineering and related professions are subject to high standards of professional conduct, although there may be wide variations among industry rules and ethical guidelines. Our attorneys are capable of handling professional liability claims against engineers in courtrooms, before arbitration panels, as well as other forms of mediation. We often reach successful conclusions for our clients because defendants and their insurers are familiar with our reputation and know our track record. 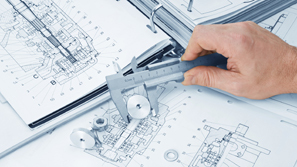 Engineering matters can be complicated by the terms of contracts that may be in force between our clients, the engineering firm, and other contractors or subcontractors. Our firm approaches these professional liability matters with a comprehensive perspective, and a goal of recovering the most compensation available for our clients. To learn more about our experience in engineering related matters, we invite you to contact the firm here.